Not sure if there is already a link about this book which looks a recent publication. Got mine yesterday not had the chance to look at it yet. 10 Rover 800's now and counting. 820 O Series Mk1 Fastback. He's also something to do with the "official" 800 Club. In fact that car on the front cover was at the BL show back in August and also used as a feature car in Practical Classics back in the summer where they drove it on a long journey to foreign lands and back - Milan comes to mind as the destination but i might be wrong. Might have to order that book though! The car on the front cover belongs to Tanya Field which can be seen at most of the Rover events. matey drove tanyas tickford to switzerland i think, i got the magazine with the feature, and it gets a good write up, he says the mk1 is best of the bunch(i knew that anyway). midnite wrote: matey drove tanyas tickford to switzerland i think, i got the magazine with the feature, and it gets a good write up, he says the mk1 is best of the bunch(i knew that anyway). Could well have been Switzerland Matt, it's a while since i read it and the mag is now buried in my archive box in the bedroom. He says the Mk1 is the best - that's purely down to personal tastes, bottom line is ALL 800s are great cars (except perhaps for the KV6 powered ones ) and some people prefer different age cars for different reasons. Having owned both Mk1c (think it was a c) and Mk2a Sterlings, both with the 2.7, for me i prefer the Mk2 mainly because of the looks, not that there's anything wrong with the Mk1 in the looks department of course. Also i prefer the suspension from the Mk2b's coupled with the 26/21 ARB combination, the Mk1 was just too soft and wallowy for me and the Mk2a wasn't far behind. The Mk2b got better spring rates that still give a smooth ride but without the sea-sick feeling when driving on undulating roads and there's plenty of them round here, not like the nice smooth roads down south! yes dave the suspension is shocking on both, but no way does the mk2 look better than the mk1, the boot is to high, plus other stuff. James Taylor has written several books, 800 being his latest. If I look over my shoulder I will see a Landrover Freelander book with his name on it too. He did fire several questions at the Club before we had actually officially formed and they ultimately landed at my door so to speak, so I hope he found the input useful. Awaiting my copy so we shall see. Forgive my ignorance but is the rover800 owners club connected to this forum in any way? Or is it just that some of you are "members" of both? midnite wrote: yes dave the suspension is shocking on both, but no way does the mk2 look better than the mk1, the boot is to high, plus other stuff. That's exactly what i meant about personal choice Matt, you prefer the looks of the Mk1, i prefer the Mk2, shame they never got the AR18/R16 further developed. dollysprint wrote: James Taylor has written several books, 800 being his latest. If I look over my shoulder I will see a Landrover Freelander book with his name on it too. He did fire several questions at the Club before we had actually officially formed and they ultimately landed at my door so to speak, so I hope he found the input useful. Awaiting my copy so we shall see. My copy is on its way too but i probably can't look at it until xmas! 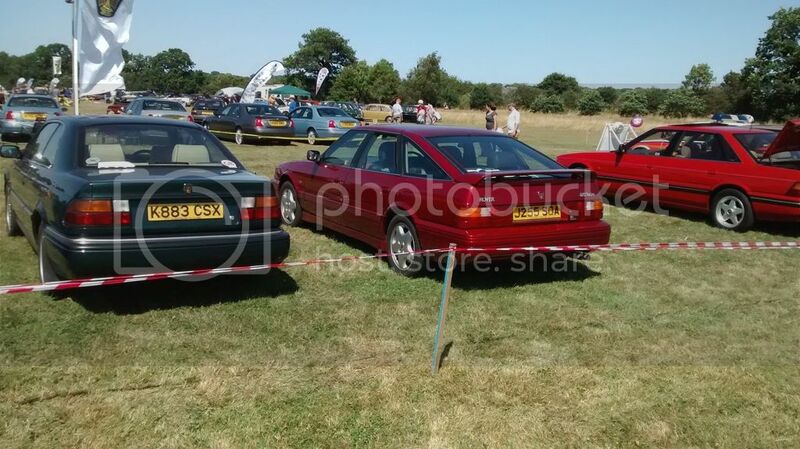 red1 wrote: Forgive my ignorance but is the rover800 owners club connected to this forum in any way? Or is it just that some of you are "members" of both? Errrr............ we don't know either Eric! That thread started off about the NEC show but drifted somewhat into a discussion about the club as well - there's a lot of views and opinions in there, some good, some bad and others fairly neutral. Have a read of it, draw your own conclusions. Personally i'm waiting to see how things pan out with it before deciding to join, new start-ups often have teething troubles which isn't in any way meant as a negative comment, i just want to wait until the "niggles are sorted" before committing. Phew , what a read on the topic about the club and this forum. Didn't realise it would be a can of worms! red1 wrote: Phew , what a read on the topic about the club and this forum. Didn't realise it would be a can of worms! I didn't mention that as i didn't want to influence your thoughts on it!